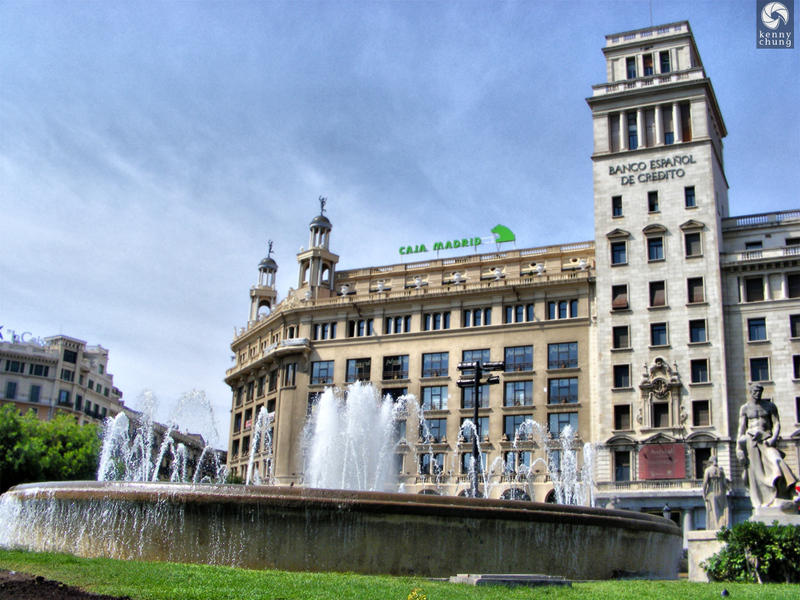 Plaça de Catalunya is the central square of Barcelona, which draws many tourists due to the number of information booths, bus tours, restaurants, and shops. 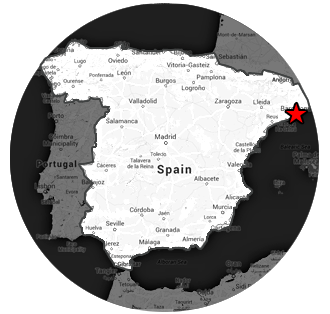 Just a short walk away is La Rambla, known for being a bustling outdoor marketplace lined with restaurants, gift shops, and an eclectic mix of street performers. 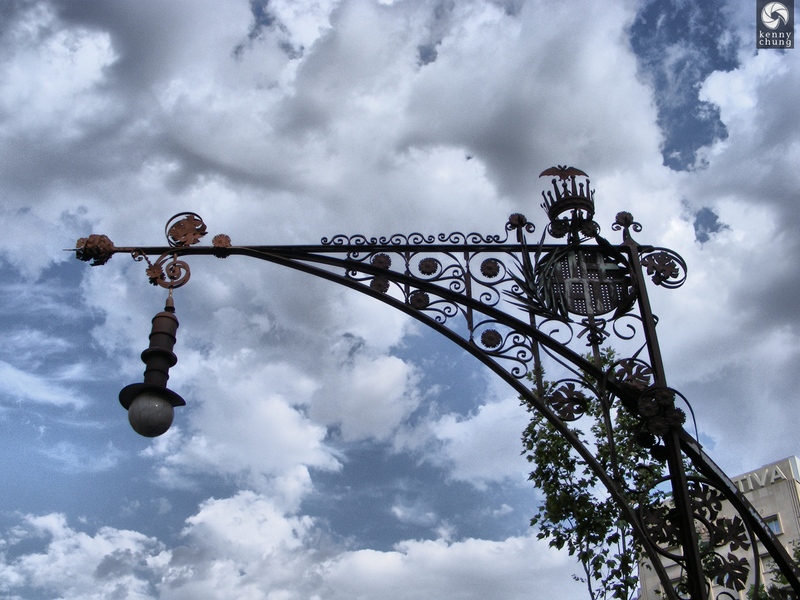 Two of the main attractions of Plaça de Catalunya are the beautiful fountain and the many detailed statues. 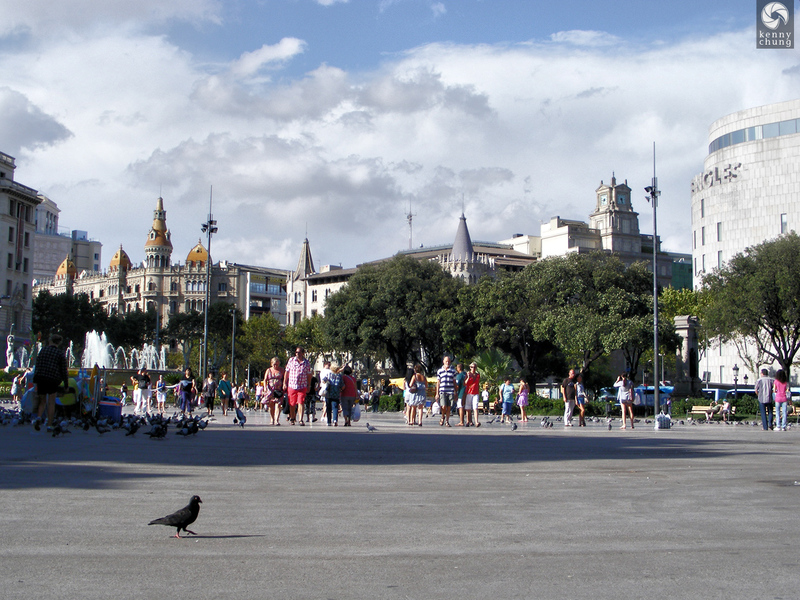 Plaça de Catalunya is also known for its many freely roaming pigeons. 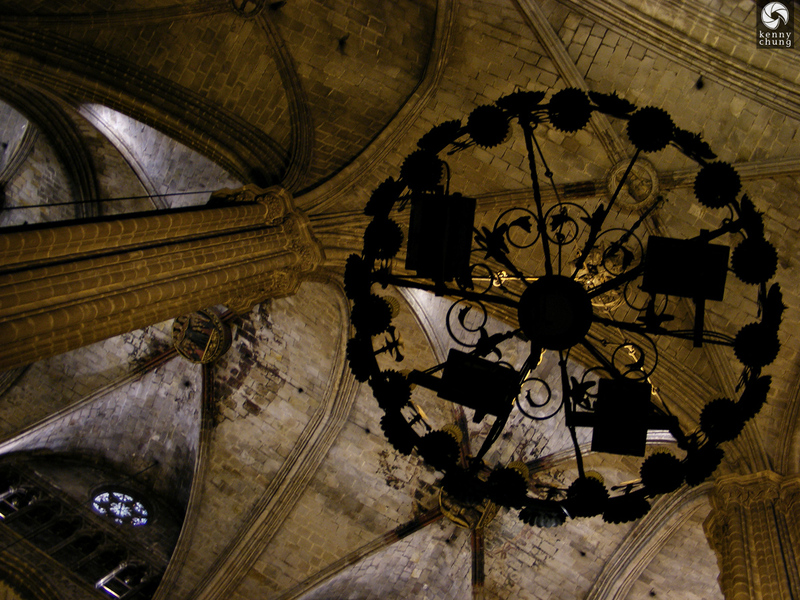 Passeig de Gràcia is known for its many stores and businesses, as well as unique architecture. 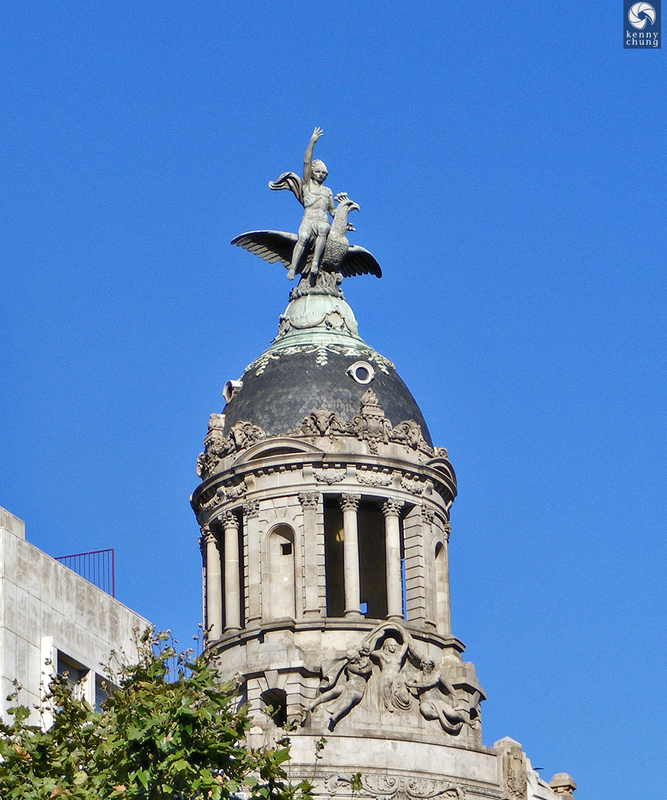 A statue of an angel and a phoenix perched atop a tower near Passeig de Gràcia. 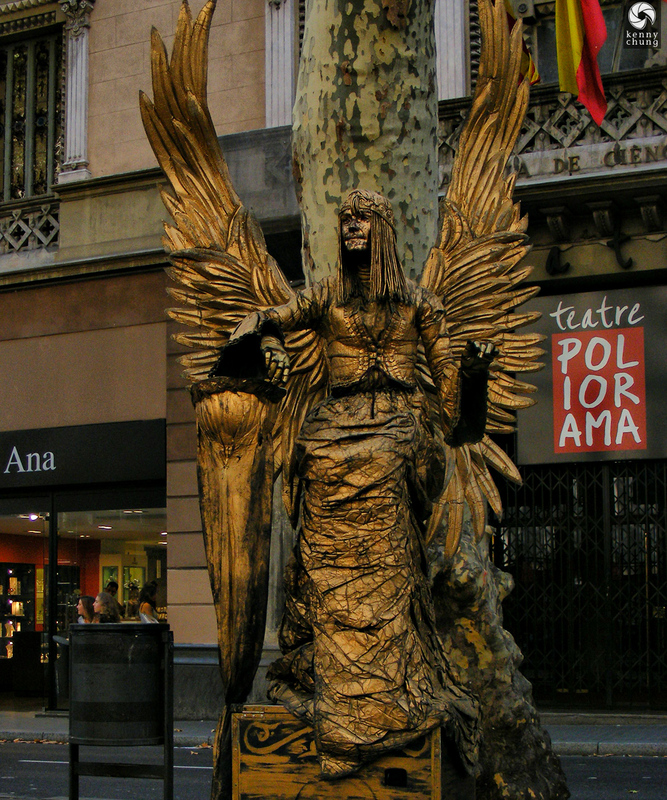 A busker/street performer at La Rambla donned in gold paint and angelic garb. 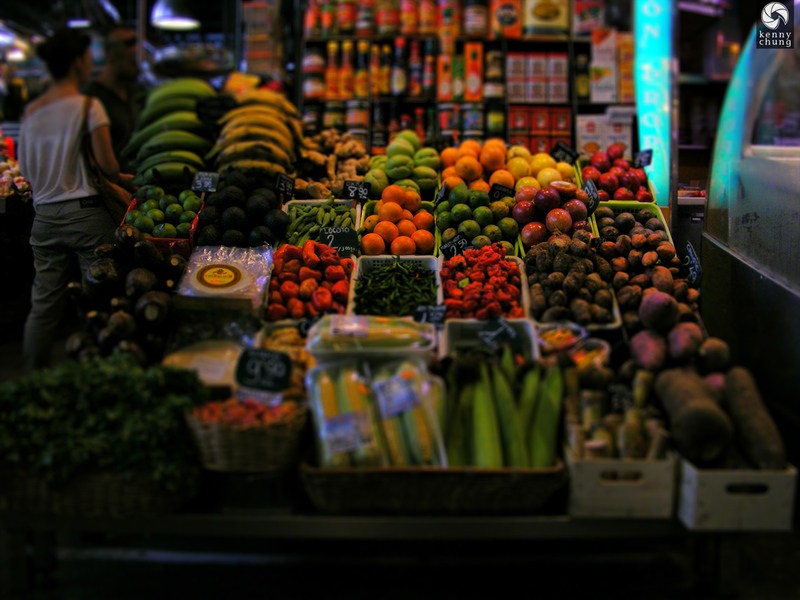 The Mercat de Sant Josep de la Boqueria is a well known marketplace for fresh produce and exotic foodstuffs.